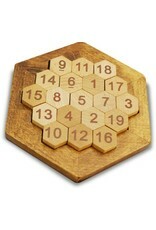 This antique finish wooden puzzle seamlessly merges math and logic into an intriguing brain teaser. The aim of this puzzle is to make every row add up to 38. This will take a very logical mind, indeed – there are fifteen rows in all directions to complete, top to bottom as well as diagonally. Each is made up of three, four or five pieces. 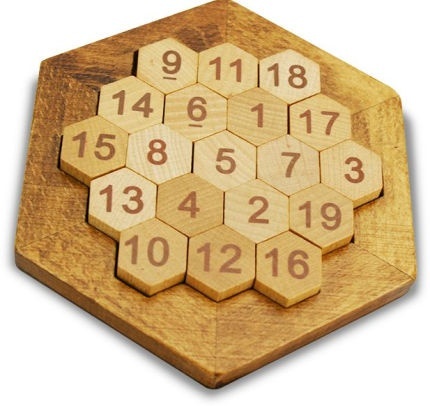 This brilliant mathematical concept allows you to complete the puzzle by using every number from one to nineteen.